I have always wanted to buy an epilator. But given that I live under the rock, I can’t find it in any store near me. So when I was given the opportunity to have it, I didn’t look back. Yes, I still live under the rock but I bought the epilator from Amazon through a friend whose business is buying from abroad, have it shipped here and sell it to people who are also living under the rock like me. LOL! Product Description. 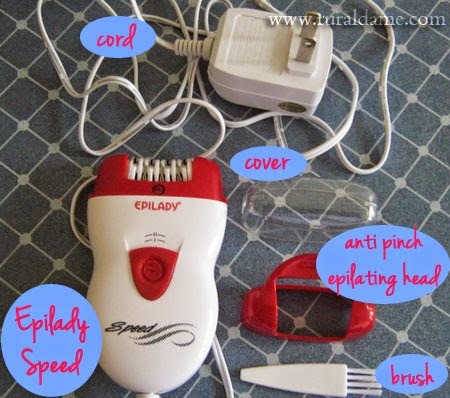 The Epilady speed is a corded epilator, specifically designed for fast and easy hair removal. The speed is small and compact, but delivers full power and efficiently removes hair all over the body for up to 4-6 weeks. The speed is equipped with the perfect angle guide, which puts the user in the perfect angle for epilation for great results the first time. Removes hair safely from the arms, legs, underarms, bikini and face (do not use around the eyes). Smooth, quiet and efficient, the speed is one of our fastest epilators yet! 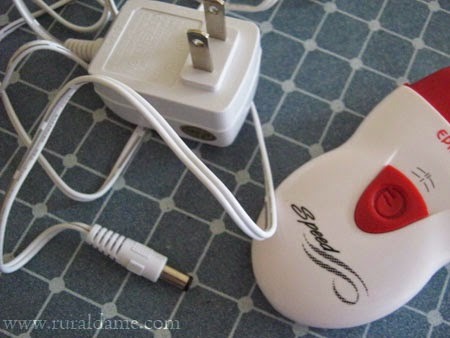 Kit includes adapter, perfect angle guide, cleaning brush, and instruction manual. Appearance. The product comes in a box containing; the epilator itself, two operating heads, cover, cord, cleaning brush, instruction manual (in various languages) and warranty card. 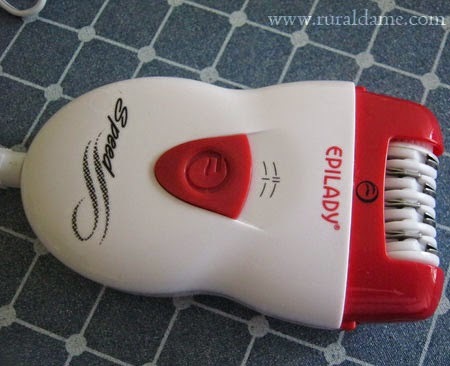 The epilator has 40 tweezers discs that when ran at full speed creates 31000 tweezes per minute. Use. When I looked at the videos of other users demonstrating the use of an epilator, I felt a bit doubtful because it looks and sounds intimidating. I thought that the buzzing sound of this stuff can reach our neighbors but I was surprised when I got this product because it is not that loud at all. I used this upstairs and nobody downstairs can hear that I am epilating at the moment. The moment I got the epilator, I used it immediately and used it every other day from then on per the advice from a reviewer in Amazon. However, frequent use made my pits sting and I also noticed that it has darken a bit so I decided to epilate less frequently. Right now, I am epilating once a week or when busy (aka lazy), I do it every other week. 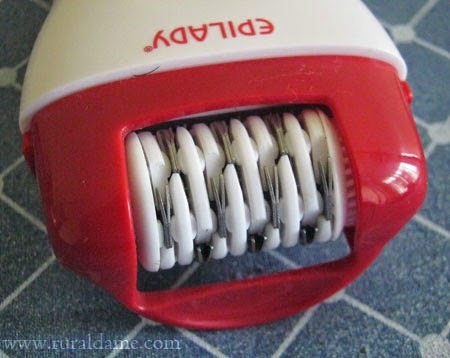 Based on reviews, people are complaining of the pain the epilator caused during their first few uses. However in my case, the pain is tolerable enough to finish epilating both my underarms. Probably that is because my pain tolerance in the underarms is high since I have been waxing for years. The epilator comes in two operating heads; the original one and the one called perfect angle guide which has a sort of extension to guide new users as to the proper angle during epilation. This is important in preventing skin injuries caused by improper use. 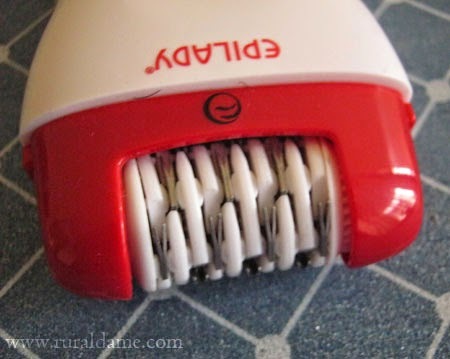 After two or three epilating sessions using the anti-pinch head, I switched to using the original head as I already know how to angle the epilator in a way that will never damage my skin. With the original epilating head on (sorry for the remaining hair). Effects. Even before I got this product, I was quite hopeful that this is the answer to my lifelong battle against chicken skin. But so far, I haven’t seen any drastic change. The chicken skin is still there and if indeed there is change, it is too faint that I cannot see it. The product claims to remove the hair from the root and eventually lessen the hair growth but I don’t see that effect either. Each time I epilate, I check the removed hair if indeed it is removed from the root but there are those that aren’t the case. I noticed that some strands are not removed from the root but instead broke down thus the need to remove the remaining hairs manually using the good old tweezer. Must be because of the angle of the epilator? Must be my settings? I couldn’t be sure and I’m still finding ways to find that desired effect. Price. This is available in Amazon for around $34 (less than Php 1500) but due to high conversion, tax, shipping and other fees, I end up paying around Php 1700. Not bad at all since this cost around Php 3000 in the country’s capital as what I have read in forums. Availability. As what I have said above, this is not available in the caves. LOL! In the Philippines, one can probably buy this in Manila but in my city in the Visayas, I haven’t find any store selling an epilator of any brand or origin. If you are looking for an easy way to remove unwanted hair, why not try epilating? With an epilator, you will be able to remove unwanted hair quickly without the mess off home waxing or cost of salon waxing. True that you have to shell out money when buying one but it’s a one-time investment and it will be worth it in end. 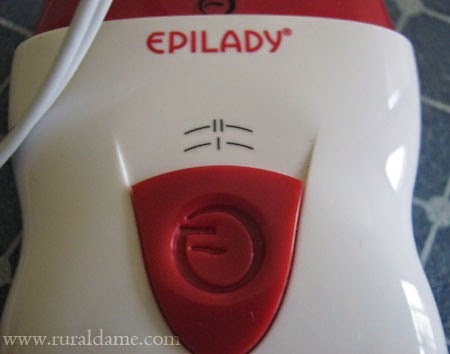 As what I have read on reviews, Epilady Speed is ideal for legs so maybe that explains why using it on my underarms doesn’t give me that result per their claim. Nevertheless, I don’t regret buying this as the tool is doing alright.